PROPORTION & SCALE USED SINCE ANCIENT TIMES. 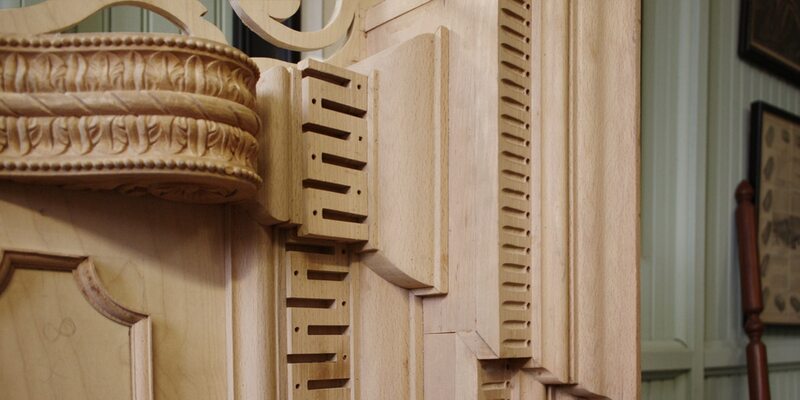 The moldings we use on our homes today are derived from the shapes and proportions established by the Greeks and Romans. The chart above show us the proper placement of moldings in a room is determined by the proportions in the Classical system. 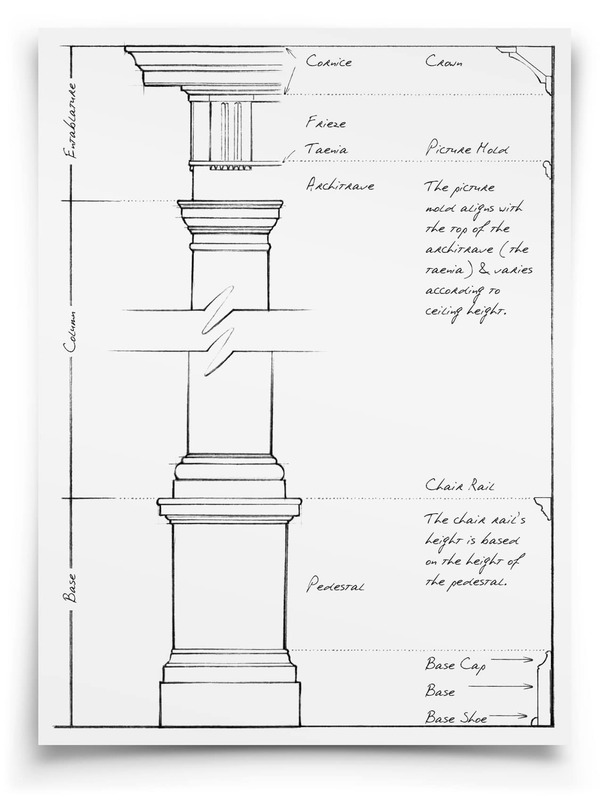 The chair rail or wainscot cap in a room is established by the height of the pedestal. The same with the crown and picture mold. Even the size of the casing is given by the classical orders.